At the beginning of October, I went as a guest of the Honors College to a Syrian music concert hosted in Sharp Concert Hall here on campus. 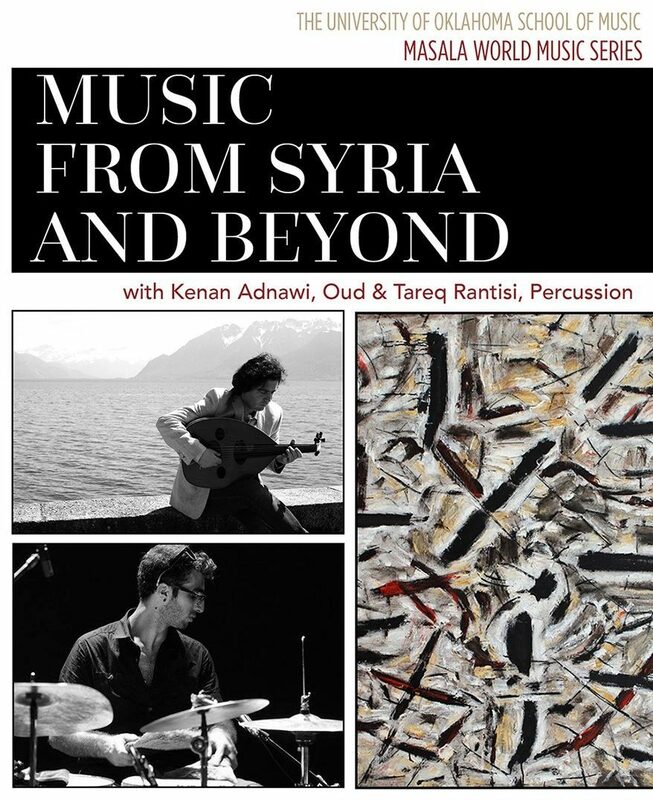 There were two musicians, Kenan Adnawi, who played the oud, and Tareq Rantisi, who played percussion. While I have seen an oud in person, as well as depicted in media and entertainment, this was my first time hearing one played in person. It was nothing short of amazing. At first, it reminded me of the stereotypical Middle-Eastern music you hear in movies and TV shows, that short song played to transition our adventurers from their western local to a place more “foreign”. As I kept listening, however, I realized two things. First, Hollywood soundtracks fall far short in comparison. Second, I understand why such music is used to set the scene. Sitting there, in an auditorium chair in the middle of Oklahoma, USA, I was both entranced and transported. It was like nothing I had ever heard before. The skill with which the musicians handled their instruments was apparent, even though their manner of playing was unique in my eyes. Mr. Adnawi tuned his oud anew for every song, and sometimes in the middle of a song. Mr. Rantisi, the percussionist, wore an ankle of bells, which he did not shake, but which would shiver and ring ever so quietly from the vibrations of his playing. The passion of both musicians was undeniable. Mr. Adnawi grew up in Syria and would give the title of every song, along with a short explanation of the meaning behind the title and behind the piece itself. I am sad to say that I probably would have walked away from the concert, having enjoyed it but giving it no more thought, were it not for a song played near the end. As usual, Mr. Adnawi announced the title, and this time, he welcomed the audience to sing along. The reaction was near palpable. I was sitting in the balcony section, off to the side but still close to the stage. Below me, most of the audience was clustered in the first five or six rows, with the rest scattered around the auditorium. When this particular song was announced, a wave of excitement rippled through those first few rows. This was not a song he had written, but a classic, one well know. It irks me that I am unable to recall the title, I would have loved to learn more about the piece. As the song flowed forth, those rows clapped with the rhythm and sang along where they could. I could not recognize the language, although I would guess Arabic. Some knew more words than others, but most would join in for the chorus at least. It was strange to see a group of strangers, united in their appreciation for one song, a song that rang with tradition and history. Furthermore, it was strange to realize that I could not relate it to a potential example in American culture. A group of US students might unite in Europe after turning on “Cha Cha Slide” or some similar piece of pop culture, but that is hardly comparable. Aside from “The Star Spangled Banner” and the like, what music carries the culture of the United States? A few hundred years from now, will parents play today’s pop and rap and country for their children to connect them with the past? What will be the US’ musical legacy?